Oh my! I love all things doodlebug, but this kit is fabulous!! ? I love this spring line! My favorite part of spring is seeing the flowers bloom. I love Spring…the warm weather, the chirping birds, and the daffodils! Doodlebug sure got it right! I love the new flowers in spring! My favorite part of spring is when the grass starts to green up and we have our first mow. It smells wonderful! Oh my! How darling is this collection! For Spring I love it when everything starts to turn green! My favorite part of spring is the freshness and all the beautiful flowers bursting through the soil. Everything is fresh and new. Doesn’t get any better. This set looks so lovely right now, when it is still a frozen wonderland out my window! My favorite part of spring are the new flowers! What a beautiful collection that Doodlebug designs have come out with! I love it….and SCT for giving us the chance to win!!! I love spring for the fresh smells, new growth and the chance to begin again with a clean slate!! Fingers crossed! Thanks! I love the colors of the first little crocuses, daffodils and forsythia after a winter of no color and dirty snow in every yard and on every street. What I like about spring is the colour. After winter the colour is very welcome. The different greens as the trees get their new leaves, the clouds of spring flowers – these are the signs of rebirth. What a lovely collection and giveaway. My favorite thing about spring are the spring flowers! My favourite part of spring is watching the trees and flowers come to life and the chance to spend more time outside. My favorite part about Spring is watching the flower gardens come back to life! I’m already excited seeing the tips of crocus, hyacinths and tulips poking up thru the mulch here in Ohio…about 1 month early! Love these Doodlebug designs! Would love to make Easter cards with them! The colors! So excited for the rain, too! I love Doodlebug! Such a cheery line! Baby animals are one of my favorite things about spring. Doodlebug always has the cutest collections! I Love Doodlebug! What I love about SPring is everything is coming awake and just springing to life it is just BEAUTIFUL! The smell in the air is even soooo fresh! Makes you sooo happy to be alive! I LOVE SPRING! I love anything Doodlebug! I love Spring, the birds chirping, flowers blooming and being able to spend more time outdoors. Thanks for the chance to win. …..WOW! HOW I WOULD LOVE TO WIN SOME OF THIS AWESOME DOODLEBUG COLLECTION! JUST LOVE THEIR DESIGNS, COLORS AND FUN-FUN-FUN!!! Well, around here the rain finally ends by Spring! Thanks for the opportunity to win. Love love love Doodlebug! Please pick me!!! I live in Alaska so spring comes late and slow. My favorite part of spring is when the whales come back from their winter migration to Hawaii – seeing them never gets old! I love spring – the true sign for me is seeing the tulips and daffodils breaking through the ground. I planted 25 of the Canada 150 tulips and anxious to see them popping up! The doodlebug product looks awesome! My favorite part of spring are the flowers, butterflies and the freshness of the season! I live in northern Canada and our winters are long! I don’t mind, but appreciate spring all the more! We’re actually supposed to get snow this weekend! My favourite thing of spring is the warmer weather. Oh. And also everything turning green! Its like a spring day here in Victoria (snow gone) and looking at Doodlebug beautiful and creative designs really enhances the day. Would love to win. LOVE Spring too, mild days, chilly nights and flowers everywhere! This doodlebug kit is really cute. I love the spring colors, frogs, caterpillars, and butterflies. This would be great for Easter layout. Very pretty colors and patterns. I like all the spring blooming flowers. Love Doodlebug! They always make me smile!I love when the daffodils start to peek out of the dirty ground. The bright yellow faces always make me smile! This is adorable!!! Ahh spring!!! My favorite part??? Is seeing tulips pushing up through the ground and the robins hopping in the lawn! I LOVE watching the robins!!! Love a day like today when the temperature is above freezing, the sun is shining and the air feels like spring. My favourite Spring thing is hearing the birds singing and chirping in the budding trees! This Doodlebug collection reminds me of that and all the wonderful spring-type sounds and sights! Spring Things is such a cute collection! My favorite thing about Spring is all the new growth: the beautiful flowers and all the green in lawns, trees and shrubs – everything coming back to life! Doodlebug is #1 in my book and my favorite thing about spring is all the spring colors. What beautiful pastel colors that definitely remind me of spring. My favorite thing about spring is the warmer weather and more sunshine. Winter can be so dull. Spring just brightens everything especially my mood. I love spring because it means winter is behind us and summer is just around the corner!! I love it when the greenhouses open up each year. So many pretty flowers. 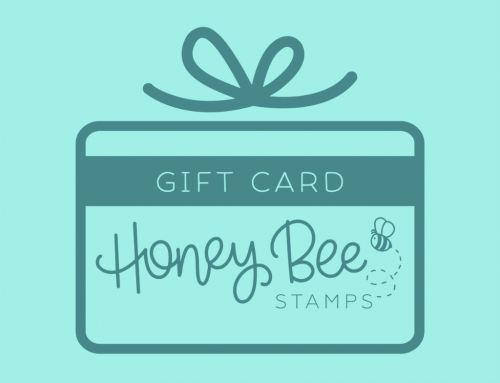 Great giveaway-I love Doodlebug! My favorite part of spring is watching my daughter play softball! What a great collection!! My favorite part of spring is all the green & flowers, I love seeing everything come back to life again!! I always love Doodlebug papers. The soft colors here are so pretty. My fave part of spring is feeling the warmth of the sun! This is a great collection, love the soft colors, especially the stripes, dots and plaids. My favorite thing about spring is the soft/ bright colors.The love of nature and new life being born. I love the warmer weather of spring and being able to swim outdoors again. Thanks for sharing such an awesome Spring Collection. I really needed that hint of Spring. I love the warmer weather and working out in the yard to make it nice again after a long Winter. My favorite part of spring is the warm weather so I can be outside more to see the green grass, see flowers blooming and hear birds chirping. My favorite part of spring is not having to wear a coat. I love Doodlebug and this Spring Things collection is beautiful! spring is about flower and that’s what makes me happy the most. I am in love with all their products! I love the first days of spring, breathing that wonderful smell of spring in the air. It is also my favorite card make g theme. Simply cannot wit to see the spring acetates. I’ll be ordering from the spring collection as soon as I refresh my papercrafting monthly allowance. That goodness for the imagination to supply such fun themes. You inspire me. I love the fact that everything seems new and fresh in the spring. Doodlebug rocks! The Spring collection is utterly beautiful and speaks to all aspects of Spring, awesome! My favourite thing about Spring is the fresh air smell, I love watching the Spring flowers come to life, it’s sort of a rebirth feeling for me, fresh start I suppose. Thank you SCT for the generous opportunity! This collection is too cute! My favorite part of spring is the sight of fresh green things! Ohhh I just love spring <3. But... if I were to chose just one special day, that would be my birthday, on the 22nd of March (modesty, i know:P). What I love about spring, the buds coming up, the Jeep roof coming off and my husband finally uncovering the BBQ. Doodlebug have the cutest designs! thank you for the chance! Love to see the trees and plants flower in Spring and I love Doodlebug!!! My favorite part of Spring is the flowers – all flowers! In spring, I love watching the plants in my garden come to life again. Thank you for the giveaway! Spring is the renewal of hope, the reawakening of life, the promise fulfilled of love,and the laughter of children. Spring is my favorite time of year. The birds chirping, buds coming out on the trees, bulbs of flowers coming up , and the days are getting longer. Doodlebug always has the cutest spring designs! LOVED the projects yesterday! This is sure a cute collection. My favourite things about Spring…tulips, daffodils, and crocuses! Beautiful collection I’d love to win! My favorite thing about Spring is watching all the new growth & flowers getting ready to bloom! One day I just see shoots poking up through the ground & the next day there are blooms! All the colors in flowers, everything clean and looking new again!. My favorite part of Spring is watching new buds poking out of the ground and trees, listening to Nature’s Song with the windows open and being able to get fresh air flowing in my home! Doodlebug’s pretty Spring colors in this collection make me think that Spring may not be too far away! 🙂 TFS! Thank you for the chance to win. My favorite thing about spring is daffodils. My most favorite signs of spring aside from the new paper crafting products that come out, is the smell of new flowers such as lilacs on the breeze. Favorite thing about spring is when the first tulips come up. My elderly neighbor has passed away but she always planted tulips so I had a backdrop to take my kids Easter pictures. We still have one tulip that appears in our front garden bed every year and it makes me think of her kindness. Doodlebug’s new spring line is so cute. Thanks for the giveway. Doodlebug is always the cutest. I love the frogs and beautiful colors. My favourite part of spring is seeing the crocuses blooming! Ohhhhhh love this Spring kit! My favorite thing about Spring is seeing my Spring bulbs come up and bloom! Such beautiful colors to brighten up the Winter landscape. I love Easter and with it out comes the soft pastel colors! This collection is just so bright and very cheerful, just like spring. Love it! My favorite part of spring is when the trees start budding, I love watching everything slowly start turning green. Thanks for the change to win, Love Doodlebug. i simply love Doodlebuy and always look forward to their collection! I love their colours…which is very fitting as we just had a warm almost spring-like day today here in Toronto! Thank you for the opportunity to win. One of my favorite things about spring is the bulbs blooming – crocuses, daffodils, hyacinths – love ’em all! Beautiful collection! My favourite part of spring is when my son jumps in puddles! My favorite part of spring is t-ball with my little boy…He is so precious! We are having what the meterologist refer to as the Winter that wasnt. We are having 69 degree days , complete with flip flops. It’s amazing to see such a beautiful line of products rolled out in time for our Early SPRING!!!! IT IS JUST ABSOLUTELY PERDECT. It is EXACTLY what I am looking for. I love the designs and colors. Incredible. I love the fresh smell of spring! And, of course, I love to see the daffodils and tulips growing in my yard! Thanks for the chance. 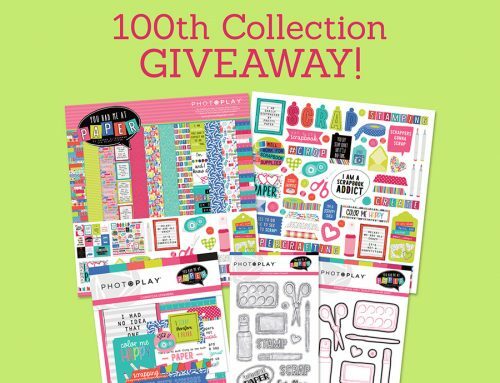 I would love to win this cute new collection from Doodle Bug! What an adorable collection! There’s just something about Doodlebug products that just put a smile on my face every time. 🙂 My favourite part of Spring is the sound of birds chirping first thing in the morning! My favorite things about spring are seeing the trees in bloom, hearing the birds chirping and feeling the warm sun shining down. The best part about spring to me is more sunlight! Love getting what feels like more hours in the day ? I live with long Alberta winters and at this time of the year I impatiently wait for warmer weather to arrive. 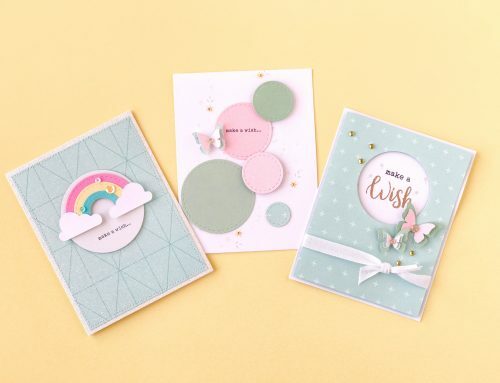 Seeing the pastel hues in this collection is brightening my day! It makes me look forward to Spring to see greenery, blooming blossoms, and returning birds. I love warmer weather and first blooming trees. It’s such a beautiful sight. Cute collection! I love spring because it has warm weather and all the birthdays in our household is in the spring! So many things to love about spring: the flowers now blooming in my yard, birds at the feeders, and the wonderful different shades of green when everything leafs out that you only see in the spring, I guess that is my favorite thing. My favourite part of spring is the sun… We seem to have dark cloudy days here in January and February… The sun comes out and you begin to feel alive again! Oh my!!! Such a darling kit!!! The pastel colors are amazing!!! My favourite things about Spring are the warm weather and the lovely colors all around!!! Wish I had my hands on this Doodlebug collection right now. The beautiful weather we had this weekend in Toronto makes me want to scrap some beautiful springy pictures. I LOVE this Spring Things paper line from Doodlebug! My favorite thing about spring is the grass & trees turning green! And the tulips coming up and my forsythia bush flowering. I love everything about spring, it’s my favorite season! My favourite part of spring is the warmth! I live in Canada where we get large amounts of snow an very, very cold days so the return of warmth is so welcome! Such a beautiful Spring like weekend we had…such fabulous Doodlebug designs to scrap all the memories!!! Amazing!!! Ahhh can’t get enough of that Doodlebug line! <3 My favourite part about spring is seeing those cherry blossoms! Even though the temperatures may still be crisp, that is definitely the first sign that warmer temps are coming. Pretty spring colours! Another sign spring is really just around the corner!! Thank you for the chance to win! I love everything about Spring. It is the little window of perfect weather between winter and the blistering heat of summer. The whole place turns green. The rains are soft and there is nothing like the smell of rain on parched African soil. The birds are bountiful and they are all breeding and building their nests in the fever trees in my garden. The days get light early and the sun sets later. Love it. I love to see the crocus peeking through and knowing the tulips and other spring flowers are not far behind. The chickadees and cardinals are singing and we just want to be outside. Just love the acetate flowers in Doodlebug Design’s new line. This collection is so sweet! My favorite part of spring is all about the mild weather and the beautiful spring flowers! BASEBALL is my favorite part of spring! My most favourite thing about Spring is the leaves coming out on the trees. I just love to see life return to them and brighten up being outside on warmer days. Thanks for the chance to win such an awesome Doodlebug collection! LOVE all things doddlebug. I love spring as the days get lighter, the weather improves and even the birds are happy with the changes. I love the beautiful colours in this collection!! So many possibilities! Oh how gorgeous is this!? My favourite part of Spring (besides all the new growth with plants and flowers) are the birds! Such sweet songs they sing! I look out my bedroom window when I wake up and see how the tree starts to sprout its leaves – then I know that Spring is here, its my favorite season..
Love Doodlebug, any season, but their spring collections always make me smile! Love Doodlebug!!! 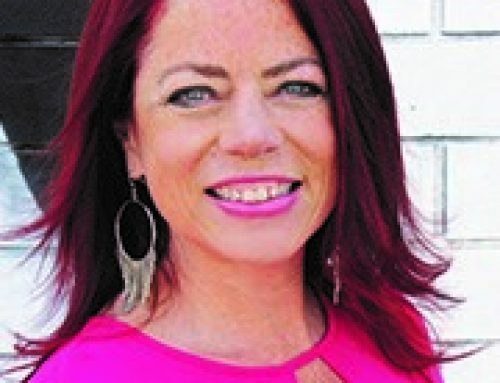 I can’t wait for Crop & Create Moncton! My favorite part of spring is the flowers beginning to pop up. Love Doodlebug Designs. My favourite part of spring is when the snow melts and my tulips start to bloom. I just love spring! Doodlebug is the happiest line; love it. Time to bring on the flower power!!! Spring is -more daylight and buds everywhere on the trees and in the garden……. The warm fresh air and opening the windows to let it flow through the house! I am loving the soft beautiful colors from the Spring Things collection! My favorite part of spring is the flowering bulbs and the dogwood and redbud trees. WoW! Between the colors and the designs this Doodlebug collection really brings Spring to our crafting! I love spring and I love Doodlebug! This is a very pretty kit. Please pick me!! I love the spring flowers, birds, and warmer weather. Love,love,love Bug! 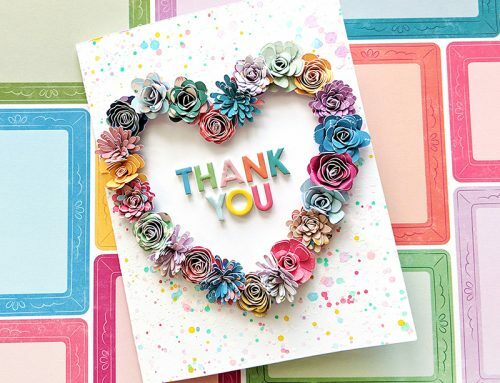 Love Spring and LOVE this collection from Doodlebug ??!! This is such a pretty collection – I would love to win this to use when scrapping my 3 beautiful granddaughters! My favorite part of spring is the fresh smell in the air and looking forward to all the colour that summer brings after the “white” of the winter. My favorite thing is the new flowers popping up! My favorite part of spring is that my bulbs come up–I don’t even remember where I put them, but they come up and surprise me. I would just love to win this! Favorite part of sping is that everything comes back to life! I love love this line!! Make spring seem so much closer! when the cherry blossoms bloom! I LOVE Doodlebug! My favourite part of spring is when the crocuses pop through the soil! Then I know it’s spring! Also love walking outside after a long, cold winter! What a great collection. Thanks for a chance to win. I love the beautiful blooming trees (redbud, CrapeMyrtle) here in Texas. Love this Doodlebug pack and would love to win to scrap my grandaughter’s spring activities. I love Doodlebug products. They are so much fun to play with, such vibrant colors to use for scrapbooking and card making. I am thinking Spring!! Thank you for the chance to win these prizes! I like that the grass is at it’s greenest, the flowers are in full bloom. But my favorite part is the weather, not to cold like winter and not to hot like summer. The weather is just right. I just love all things Doodlebug! What an awesome prize pack! My favorite part of spring is being able to leave the house without a jacket. Omg so pretty. Would love to win this. Thx. Such pretty colours in this paper pack! After looking at bleak, dreary weather for so long it’s lovely to see pastels! I love the new spring collection! The colors in the spring papers are so pretty. My favorite part of spring is the daffodils coming up. Lilacs are my favorite part of spring! They make me happy! Doodlebug design and their sweet critters always make me happy too!!! Fab give away, love Doodlebug! My favorite thing about spring is the blooming flowers. I first used Doodlebug paper when my granddaughter was born. Now she’s 14. Would love to use the Spring Fling paper with her! I love the charming Doodlebug products! My favorite part of spring is seeing all the daffodils in my yard starting to bloom! I love Doodlebug, the colors and designs are so pretty and easy to coordinate! ohhhh..ohhh.ohh…Doodlebug is my favorite..I would like to know how you continuously outdo yourself. THIS COLLECTION IS THE best>>Would I love to win this? YES..yes..Yes.. I’m a long time Doodle Bug Design fan and this collection is just adorable! Such pretty pastels and patterns…thank you for another great collection! LOVE everything by Doodlebug! My favourite thing about spring is the maple syrup made in Ontario from maple sap. It only runs when the temperature warms up during the day but it drops below 0 degrees at night. Thanks for the chance to win! My favorite part of Spring is when the lilacs are in bloom. They are my favorite flower, and they always remind me of home. I adore this collection, I love about spring the flowers, butterflies, sunny skie. Oh spring…wherefore art thou? I’m SO ready for spring, Easter,and the new life we see each spring! My favorite part of spring is the fresh smelling air, and flowers of course! Lover Doodlebug!! The springtime project examples are so cute! I love love love watching the trees bud, and the flowers poking through the soil and the heat in the sun!!! Those are a few of my favourite things??? This collection is super sweet! My favourite Spring thing is the change in the breeze – there’s a hint of warmth in there that tells me that the bitter cold of Winter is on its way out. YAY! The Doodlebug Spring line is darling. My favorite time of spring is when the quail hatch and the cute little balls of fluff come out to eat and play in our yard. I love that all green things growing and the promise in the air that warm weather is right around the corner! Doodlebug paper products always bring happiness to any project! Love them! Wow.. very excited to see this collection. I would love to win this fun package of goodies. Love this collection, would love to win! What fun to use it for making Easter treats for grandchildren and friends. Oh me oh my, I love these colours.Thank you so much for the opportunity. Love, love, love this assortment! Would be a great addition to my stash!!! I love spring and I love DoodleBug Designs! This collection is a perfect celebration of both! Oooops, forgot to add that my favourite part of spring is the flowers! Love, love, love that beautiful spring paper. I can’t wait for the return of all the birds that nest in my trees and all the wild flowers in bloom. That paper will go perfectly with my spring photos!! I just love DoodleBug designs. They are always so bright and cheerful. You can’t help but smile when you look at them. Love Doodlebug, would love to win this prize. THIS IS SUCH A CUTE PACKAGE, ANYTHING SPRING IS FUN. LOVE DOODLEBUG!! Love, love Doodlebug. This paper gives me hope that Spring is here. The colours, design. My creative juices is now flowing. Love, love love Spring! My favorite thing is all the new beginnings that spring brings about. Fresh and new signs of life again! Doodlebug is another word for fun- these colors & designs are so sweet & playful. Thanks for a chance to win. What a wonderful way to start Spring off! I love Spring because, to watch all the plants starting to bloom the grass turning green and a new season to prepare for camping and enjoying the great out doors….. Thank u for the chance to win a beautiful kit! My favorite part of spring is the birds returning, seeing green grass instead of snow, and all the beautiful flowers. I don’t mind the rain because anything is better than more snow. The colours of spring are the best. 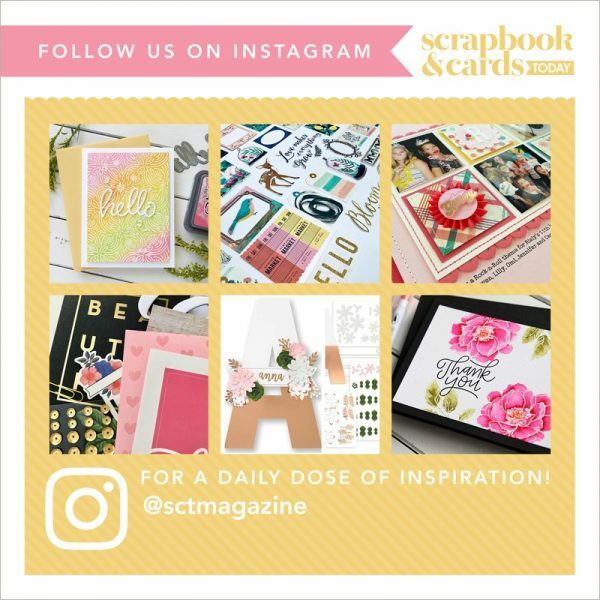 Which makes Spring Scrapbooking the best! I am in Northern Cali and love ❤️ the Spring in here year after year… because my BD is on April so I call myself a Spring girl! Love everything , new green after Winter, flower blooming around, birds chirping…and of course the beautiful soft sweet colors! I often see myself applying these colors in my projects. Smiles? Love the spring colours in this package. After the snow we have had this year and the grey skies, I am really looking forward to sunshine and the flowers peeking out. I love Spring !! All th pastel colors of Spring . My favorite part of spring sis flowers blooming . I just love Doodlebug products and I would love to win this Spring Things Collection! My favorite part about spring is the longer daylight hours…oh and tulips! Tulips are my favourite part of spring. Everyday I look forward to see what is blooming in my garden. I love the new Doodlebug papers, so light, bright and springy-perfect for scrapping and card making!! This is such a pretty kit, beautiful colors and patterns! The one thing I love about spring is seeing all the trees budding and blooming. What a sweet collection. My favorite part of spring is the longer days, being able to enjoy the evenings. My favorite part of spring is when the lilacs are in bloom. I love their fragrance. I also love to see the tulips & am especially looking forward to seeing all the 150 anniversary tulips this year! What a wonderful prize package. Thanks so much for your generosity! Just Love, Love, Love this one! I was just looking at this set! I love it! Spring is my favorite season. New life. What I love most about spring is the Easter Sunrise service on the beach, which gives resurrection new meaning as we watch the sun come up over the water. Intense quiet and beauty – right here in the midst of Canada’s biggest city. Fabulous! I love all the spring colors! Wonderful products.